A report by market research agency Finaccord found that in 2018, the global expatriate population was over 66 million. The report also predicts that this number is likely to rise to 87.5 million by 2021. Lifestyle: retirement, travel, better quality of life, better financial health, etc. You Might Also Want To Read: Planning to Settle Abroad? Things You Must Know! The choice to be an expat involves a fair amount of risk-taking but it can also be exciting and exhilarating. At the same time, leaving the familiarity of your home environs for the unfamiliarity of ‘exotic’ foreign shores can be nerve-racking and daunting for even the most sophisticated ‘world citizen’. And for many expats, the thrill of starting life over in a new country can be dampened by the sadness of leaving family behind. If this includes ageing and dependent parents, the sense of loss is often worsened by guilt and worry about parents’ health and happiness. In this article, we share with you some ideas about how you can ensure that your parents are taken care of even when you are miles away from them. Embracing the life of an expat will involve a lot of planning, and one of the things you must plan for is how you will take care of your parents from a different country. Consider your situation and figure out what you need to do to ensure that your parents are comfortable and free from worries. Plan to visit them: If you already have a job set up, you might be able to schedule a visit back home to see your parents. Talk to your boss early to make sure that you can have the time off. And if you’re planning for a Christmas/New Year’s holiday, book air tickets in advance, because this is the busiest time of the year for airlines all over the world. Keep money aside: Create an emergency travel fund for yourself in case you have to make arrangements to fly home on short notice. Make living arrangements for your parents: If your parents are suffering from health problems, ask them if they would be willing to move to a care home or group home for the elderly. This may be important if only one of your parents is still living. Find the best places that suit your budget and their needs and try to shift them before you leave. Take care of legalities: Make legal arrangements such as preparing a living will and appointing a power of attorney to take care of things in your absence. Document-proof your relationship: Give copies of all important documents (wills, property deeds, bank passbooks, etc.) to your parents and your power of attorney if you have appointed one. Make sure your parents know how to reach you at all times. Provide all important contact details including home and office address, phone numbers, email addresses, etc. Knowing how to contact you can help ease the separation anxiety for them as well as you. Plan for unpleasant eventualities: Loss of one’s parents is a sad reality that everyone has to face one day. Think about what arrangements you might need to make, such as funerals, disposal of personal effects, sale of property, etc. Talk to the relevant people (lawyers, realtors, etc) and find out what paperwork would be needed. In some countries, buying funeral insurance is a common practice. It may sound morbid but it can be a huge help with funeral expenses. Consider it for your parents. Talk to your parents frankly and ask them for their inputs. 2. Make Use Of Technology & Communicate! Before you leave, buy your parents a communication device set up for international calls or chats and teach them how to use it. If it’s a prepaid device, set it up with enough minutes to last them at least a month. Make sure you can add minutes at your end (or teach them how it’s done). If you buy a postpaid plan, set up an automatic billing system through your bank account or cashless payment service so the bill is paid on time every month. This will ensure that the device is always connected and your parents will be reassured to know that they can always reach you. Schedule a weekly Skype or WhatsApp video call to talk about the highlights or lowlights of your respective weeks. Talking face-to-face can be more reassuring than simply hearing each others’ voices. This is as true for you as it is for your parents. This system works especially well if you have children who miss their grandparents and vice versa. Video calls can also yield valuable clues about your parents that a voice call can’t. On non-video call days, stay in touch via chat or social media so they don’t feel as if they have been relegated to the fringes of your busy expat life. Do they look more tired, droopy or more unkempt than usual? Are they being evasive or fidgety? Refusing to answer your questions about their health or social life? Are they quieter or less cheerful than usual? Are they having trouble focusing on the conversation? Asking you to repeat your statements? Squinting into the device? Seemingly forgetful or absent-minded? Pay attention to their living environment. Is it looking messier than it normally does? Discuss your concerns with their doctor or your medical proxy. Be open with your parents about your worries and encourage them to be open with you. Assure them that you will do everything you can to support them and take care of them despite being miles away from them. Sometimes, a kind word is all they need to feel appreciated and valued. Joining a social club or community centre for the elderly: Examples include senior Yoga, laughter clubs, travel groups, chess clubs, music jam sessions, etc. Getting more involved in the community through social work and volunteering to speak at educational institutes on topics where they have knowledge or experience. Spending more time at a place of worship and connecting with other worshippers: Spirituality in a social setting can decrease loneliness and increase a sense of well-being. Signing up for a course to explore a hobby or learn a new skill. With your support and encouragement, your parents will be more social and make a valuable contribution to their community, which will improve their self-esteem and ease their feelings of depression or worthlessness. While medical advancement has increased life span almost all over the world, it doesn’t necessarily guarantee a healthy life. Health insurance: If they qualify for it, buy health insurance. Talk to an insurance advisor if required. 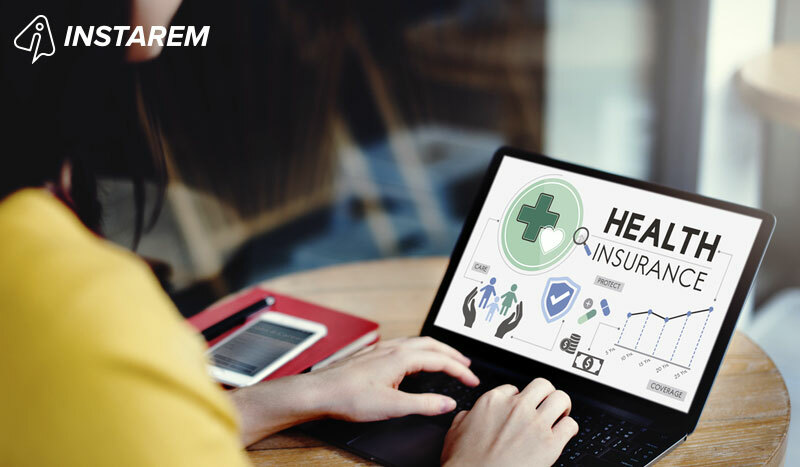 Be sure to provide all necessary information on the insurance application, including pre-existing diseases. If you lie – even by omission – they risk losing coverage when they may need it most. If you can afford it, buy the best possible amount of coverage. Make sure your parents have a copy of the insurance papers and a list of numbers to call in case of an emergency (such as ‘network hospitals’ under the insurance plan). Build your ‘parent-care’ tribe: Talk to your family doctor or another healthcare professional (social worker, nurse, etc.) about the change in your situation and encourage your parents to see them for occasional health checkups. Stay in touch with the professional and request them to share your parents’ medical reports with you via email or WhatsApp. Emergency numbers: Provide your parents with a list of emergency numbers, including your doctor, the nearest hospital, the ambulance, fire service, etc. Programme these numbers into their phone on speed dials and teach them how to use these numbers in an emergency. Make their house safe and accessible by arranging for any necessary alterations or adaptations such as grab bars, chair lifts, wheelchair ramps, etc. Ensure their prescriptions are up-to-date and filled in at the proper times. If necessary, arrange for mobility aids such as wheelchairs or walkers. Make arrangements to keep the house regularly cleaned and maintained. Hire staff, such as cleaners, gardeners, cooks, pest control servicemen, plumbers, etc., and arrange for their payments so your parents don’t have to deal with such issues themselves. If your parents are financially dependent on you, you must put some money aside for emergencies. This fund is not the same as the emergency travel fund you create for yourself. And this money must be set aside even if you have purchased health insurance for them. Depending on your parents’ lifestyle, age and health status, determine how much money you need to put aside for this fund. Involve your doctor or medical proxy in your plan if necessary. Keep the money in a location your parents can access it easily, such as a bank’s savings account. Set up netbanking (login name, password, PIN number, etc) for the account and teach your parents how to use it. If a debit or credit card is part of the service, explain to your parents how it can be used for shopping or for withdrawing money at an ATM. Regularly set aside some money from your income and keep adding it to your parents’ emergency fund. Make sure you don’t transfer money between the bank accounts in your two countries. Banks charge hefty transaction fees so you will lose a lot of money over the long term. Avoid these losses by using a reliable, low-cost money transfer service like InstaReM which can help you transfer money between a number of countries in Asia, Europe, North America and Oceania quickly and with minimum hassle. If you’re an expat with parents living in a different country, know that it’s natural for you to worry about their health and well-being. Have a solid plan that covers different aspects of their life: medical, financial and social. Involve your parents in the planning process and keep the lines of communication open at all times. Finally, keep in mind that life is unpredictable. No amount of planning or communication can protect your parents or you from any possible crisis. Forgive yourself if something bad does happen in your absence and know that you did everything in your power to support your parents and make them happy. In the meanwhile, don’t forget to also take care of yourself, keep things in perspective and live your life well. How To Invest In A Foreign Country? The 9 Things You Should Know! Did You Tweet About Late Money Transfers? But Are You Sure It Wasn’t Because Of These 5 Reasons!